Even though I am a food blogger and I love baking and cooking, one of the things in life that truly brings me joy is eating food that someone else prepares for me! I think that most people who prepare food for others every day would agree with me. Several years ago, my husband worked afternoons and one of my friend’s husbands worked out of town. Since neither of our husbands were around, we would get together during the week for dinner. We both had little kids who didn’t especially enjoy our cooking, so we took turns preparing meals for each other. One of the “rules” was that there was no pressure and we couldn’t be embarrassed about the food we made. I have such fond memories of that time. We shared so many delicious meals and it was really nice to break up the week with some friend time. So, what does this have to do with a fluffy, homemade buttermilk pancakes recipe? Well, this is the perfect recipe to make for someone special in your life. You could make your loved one’s breakfast in bed for a special occasion like an anniversary or birthday. Or for a holiday like Valentine’s Day, Mother’s Day, Father’s Day. 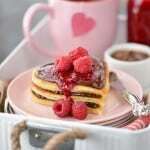 Or why not make your weekend breakfast special with simple heart-shaped pancakes? First, mix up some pancake batter. Sift together flour, sugar, baking soda, baking powder, and salt. In a separate bowl, beat the eggs and then beat in the buttermilk. Add the egg and buttermilk mixture to the dry ingredients and whisk lightly. Finally, whisk in the melted butter. 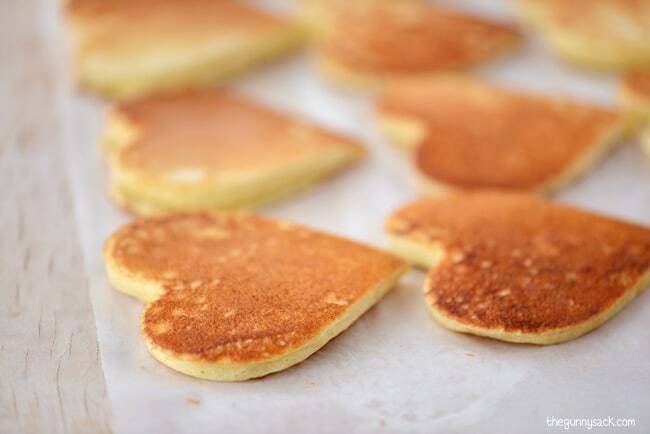 To make the heart shaped pancakes, you can make free-form hearts or use heart-shaped pancake molds. This was my first experience with pancake molds and it took me a few tries to get it right. Start with a hot skillet. Brush the heart shaped pancake mold and the skillet with vegetable oil. Pour slightly less that 1/4 cup of pancake batter into each of the molds (depending on the size of your mold). Allow them to cook for 2 to 2 1/2 minutes. Carefully remove the molds and flip the pancakes over to finish cooking. They are so cute! If some of the batter escapes the heart shaped pancake mold and leaves you with a lopsided pancake, use a knife or kitchen shears to cut off the excess pancake. 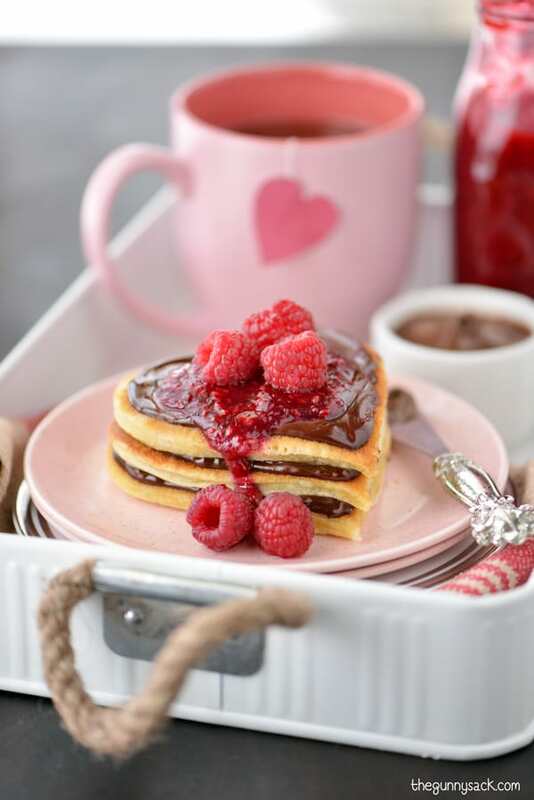 Put the heart shaped pancakes, a few plates, silverware and napkins, Nutella, raspberry sauce and some hot tea or coffee on a breakfast tray. 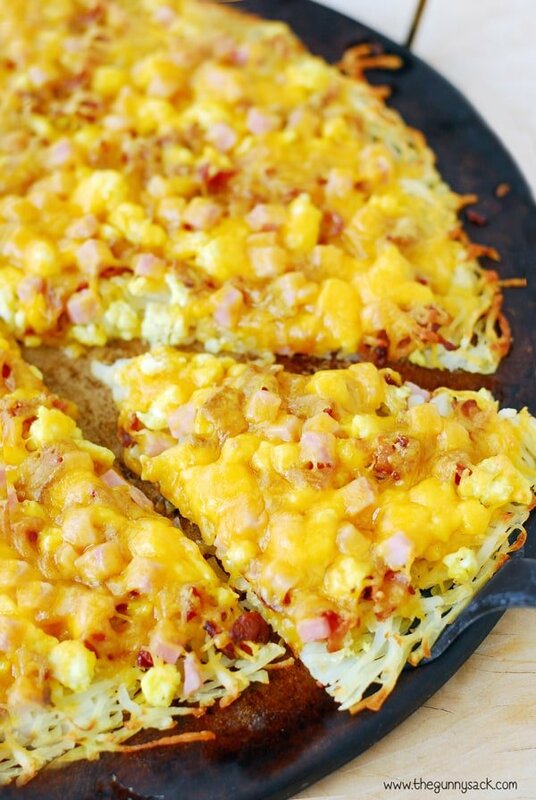 Share this delicious breakfast in bed with your loved ones and watch them smile. 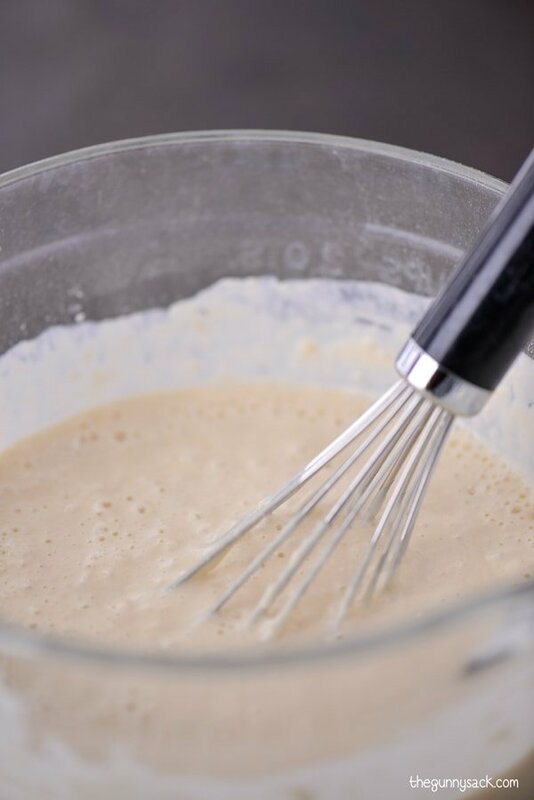 This easy buttermilk pancake recipe can be made from scratch in minutes. Sift together flour, sugar, baking soda, baking powder and salt. In a separate bowl, beat the eggs and then beat in the buttermilk. Add the egg and buttermilk mixture to the dry ingredients and whisk lightly. Heat an electric skillet or cast iron skillet. Brush the skillet and the heart shaped molds with vegetable oil. Set the pancake mold on the skillet and pour in less than 1/4 cup of batter (depending on the size of your molds), spreading it out to fill the mold. Allow the pancakes to cook for 2 to 2 1/2 minutes. Carefully remove the pancake molds and flip the pancakes over to finish cooking. Brush the skillet and the pancake molds before cooking more pancakes. *Substitute for buttermilk: Mix together 2 cups of milk with 2 tablespoons of white vinegar or lemon juice. Allow the mixture to sit for 5 minutes. Thanks Heather!! They were so much fun! These pancakes are beautiful! Almost too pretty to eat! I love the nutella and raspberry sauce that you used for toppings. Yum. 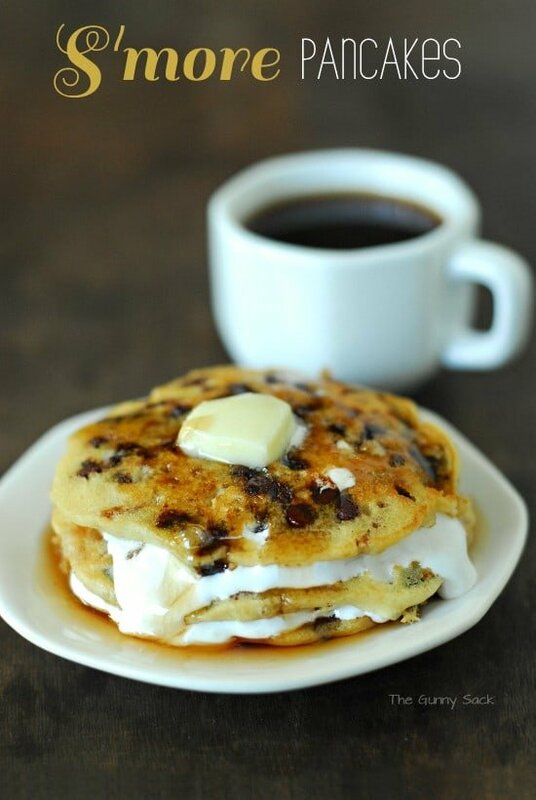 We love pancakes, but we rarely ever make them. I’m feeling inspired now! Buttermilk pancakes are my favorite. 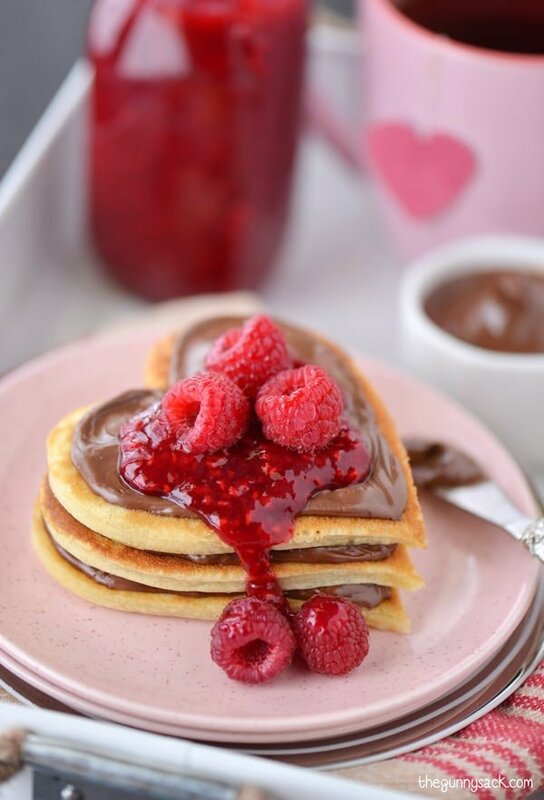 These heart shaped pancakes are so cute and they look delectable with the nutella and raspberries. What a fun breakfast in bed. That is the best looking breakfast tray I have ever seen!! So gorgeous, and so tasty! Hope you had a great Valentine’s Day! These are the cutest pancakes! 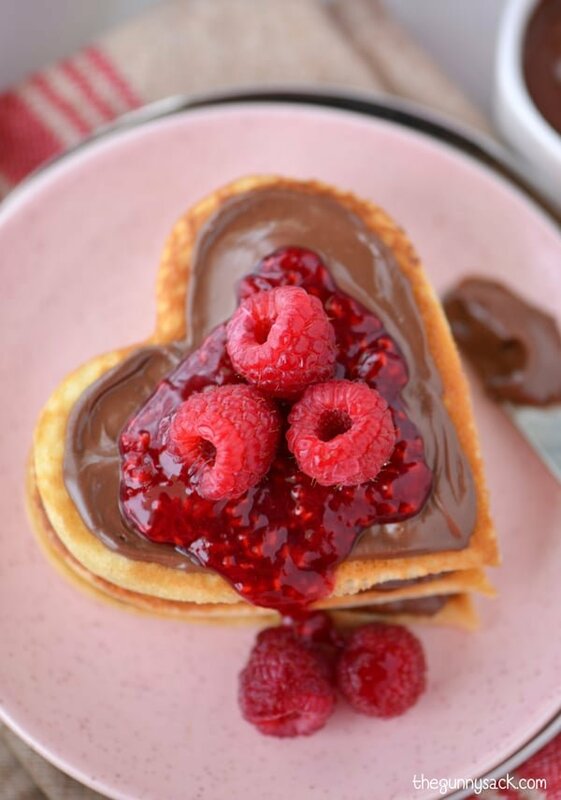 I love the heart shapes and the nutella and raspberry sound perfect! These pancakes look fantastic! I wish I had one of those pancake moulds! These pancakes are adorable! 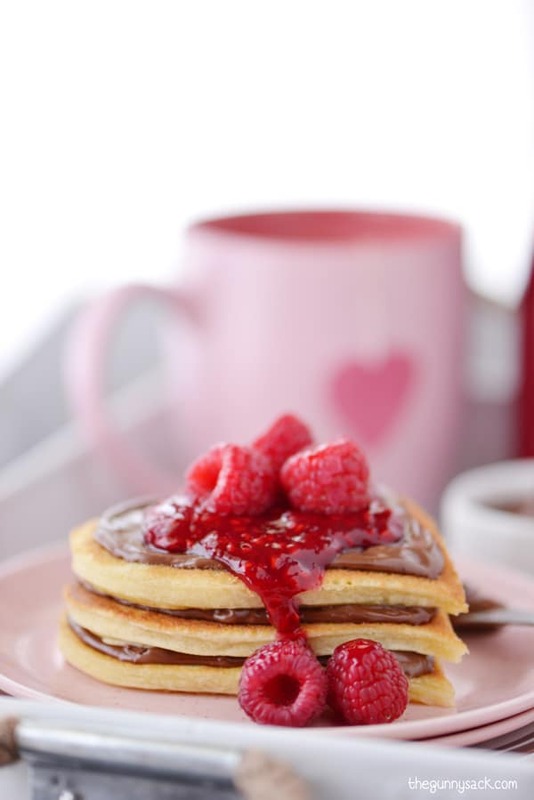 Plus who cannot love the raspberry/nutella combo that you slathered on top…yum! That sounds like such a fun tradition! 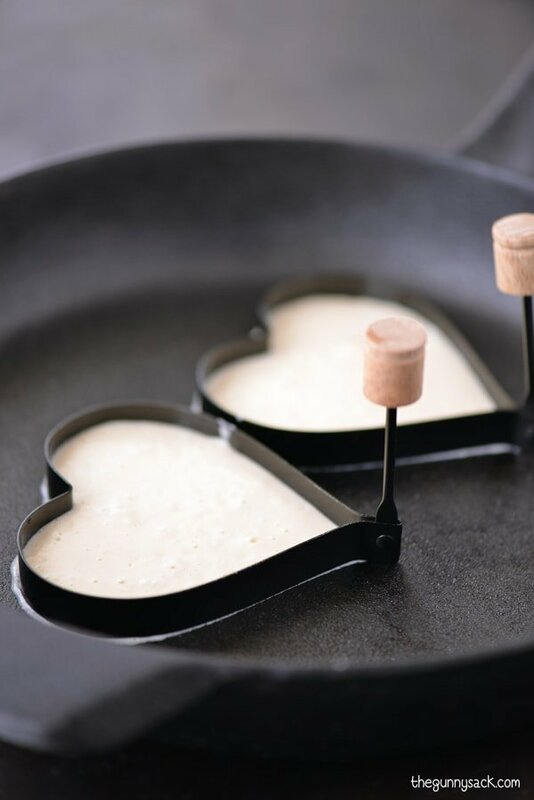 And these pancakes are so darn cute – so fun for a Valentine’s Day breakfast. Talk about the best breakfast ever – they almost look too good to eat. ALMOST! 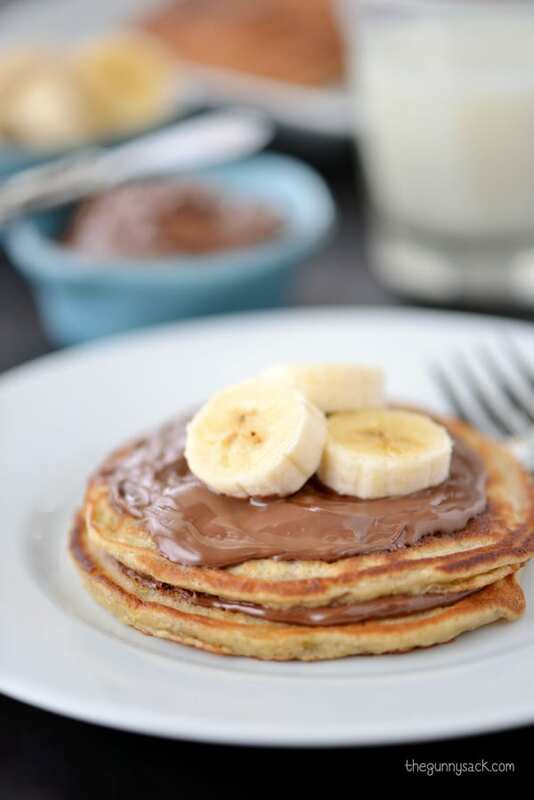 These pancakes are so beautiful, Tonia! I’d love waking up to those on Valentine’s day…or any day! The hearts make it…I haven’t done theme shaped pancakes in a long while but that might have to change! Possibly the cutest pancakes I have ever seen!!!! And topped with nutella and raspberry sauce?! Yum! These are seriously some of the cutest pancakes I have ever seen! How cute are these?! Gorgeous photos, by the way! What a decadent, special breakfast! The images are beautiful. I love the idea of friends cooking for eachother – families, and especially kids, can be unappreciative, can’t they? They just don’t know how lucky they are sometimes! Those heart-shaped pancakes are perfect!! And I love the addition of nutella and raspberry.